Breakfast, much like brunch, lunch, and dinner, is one of the most important meals you will eat in a day -- so it had better be good. Lucky for us, Toronto is well stocked with quality options for an outstanding morning meal. Whether you like things sweet, savoury, or somewhere in between, there’s a spot in Toronto to satisfy your breakfast cravings. 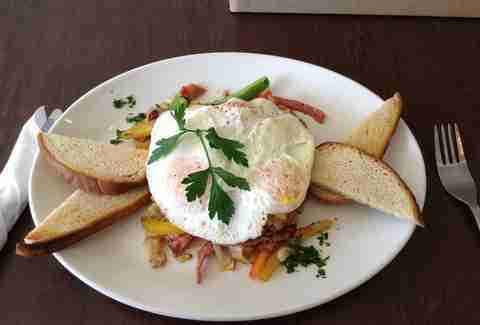 There are two locations of this laid back breakfast joint that packs in the locals on weekends. All your morning meal favourites are accounted for on the extensive menu, but if you want a Tex-Mex twist on your first meal of the day, the breakfast burrito doesn’t disappoint. This one gets you refried black beans, scrambled eggs, chipotle salsa, Monterey Jack, coriander, and caramelized onions, all coming together in gooey harmony after being baked in a whole wheat tortilla. Gayley’s was a fixture on Dundas long before that particular stretch between Ossington and Dufferin became ground zero for what feels like every new bar opening in the city. 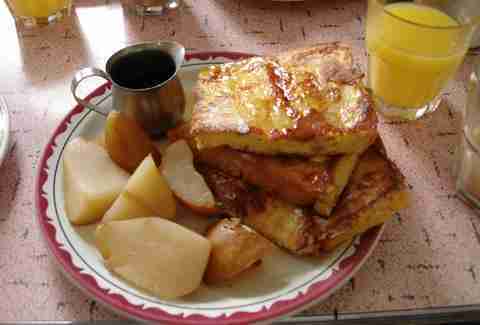 The cozy, family-run café has been turning out breakfast faves for well over a decade. Fare is simple, fresh, and comforting, like the classic eggs Florentine, served with either home fries or salad. 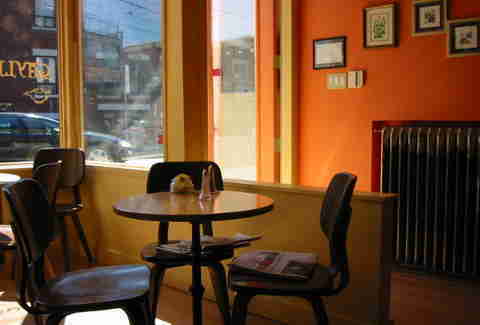 Brisk, friendly service, cheerful décor, and a low-key vibe make this place a favourite among area locals. 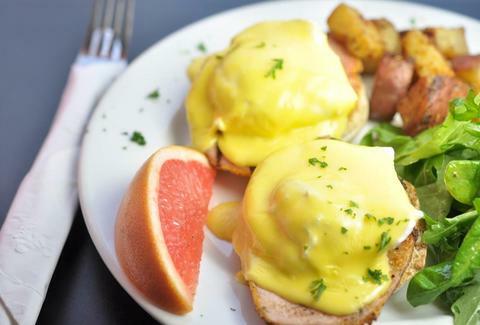 The menu covers all the breakfast bases, but eggs Benny is a favourite. Everyone’s go-to hangover helper is enhanced here with avocado, spinach, and tomato and served with perfectly crispy home fries. This iconic Toronto diner has been filling stomachs with good old-fashioned breakfast food for well over 70 years. 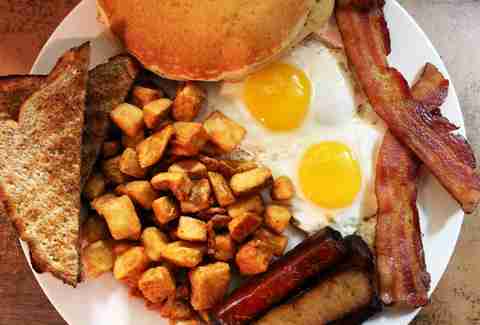 For that reason, we say stick with the time-tested combo of bacon, eggs, toast, home fries, sausage, and pancakes. It’s all the best morning foods on one plate, so you really can’t go wrong. This adorable spot on Dundas takes its inspiration from rustic French cooking and offers locals a relaxed space to start the day. By night, it switches from café mode into a cozy bistro (add this to your date night list). 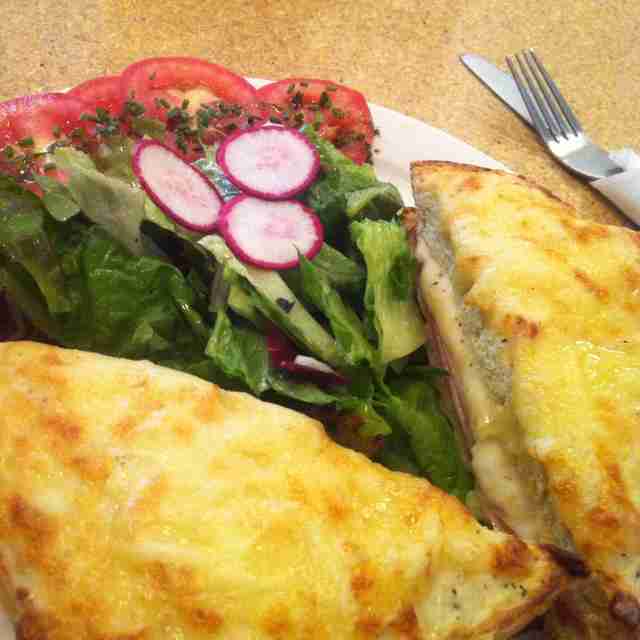 As for breakfast, the decadent croque monsieur ticks all the right breakfast boxes: cheesy, eggy, saucy, porky. The filling, yet not overly heavy combo of Black Forest ham, Swiss cheese, egg bread, and béchamel sauce hits the spot. Cute and cozy Morning Glory puts the emphasis on homemade (even the ketchup is from scratch), local, and seasonal goods. 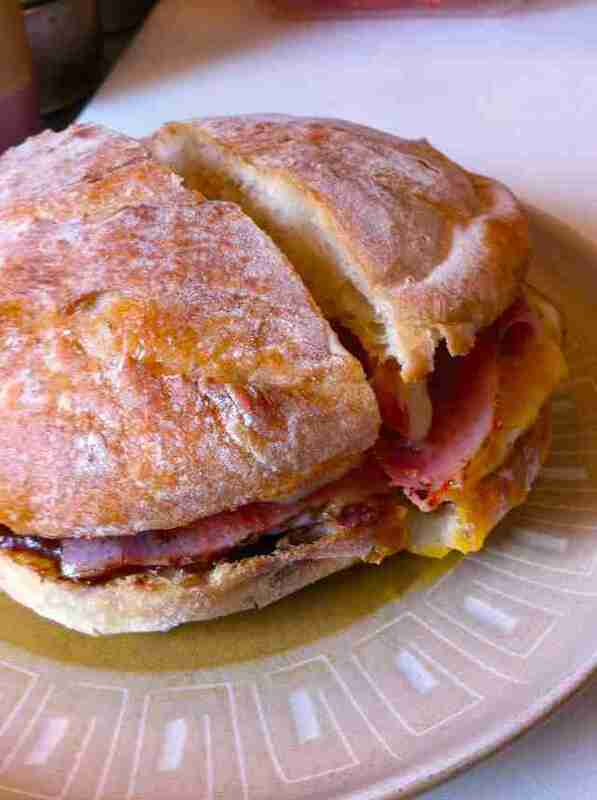 The menu focuses mainly on breakfast sandwiches, which we fully support. There’s something that just makes sense about a breakfast sandwich. It’s a meal you don’t even need a plate for that you can eat on your way to work. Morning Glory’s Agent 99 sees a perfectly fried egg, ham, cheddar, and tomato served with ketchup and aioli on a toasted hand-rolled bun. Expect a lineup at this popular Little Italy breakfast restaurant (or come early) that’s been in operation since 1998. 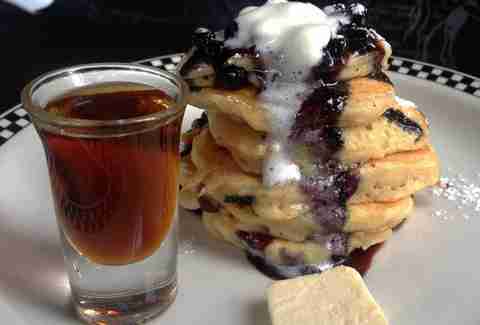 The cheerful spot tucked away on a side street sticks to what it knows: breakfast -- done right. The concise menu is filled with egg- and bacon-based staples, as well as pancakes, granola, and the addictive Cinnamon French Toast served with fruit and maple syrup. School, in Liberty Village, is justifiably popular among the area’s condo dwellers as well as nearby Parkdale locals in need of something to start their day with. Those who enjoy their breakfast on the sweeter side should really do themselves a favour and order the Black ‘N’ Blue Flapjacks (available until 11:30am), which are neatly stacked and accompanied by black and blueberry sauce and brown sugar butter. With three locations in Toronto and one in Vaughan, Boom has something of a mini monopoly on the city’s breakfast industry. Lineups move quickly, service is efficient, bacon is crispy, and the menu reads like a dictionary of breakfast classics, along with burgers, sandwiches, and salads. 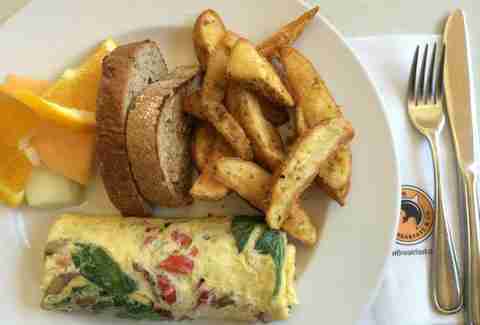 The Farmer Gianni omelet elevates the humble egg with the help of fresh baby spinach, roasted red pepper, caramelized onions, and Swiss cheese.